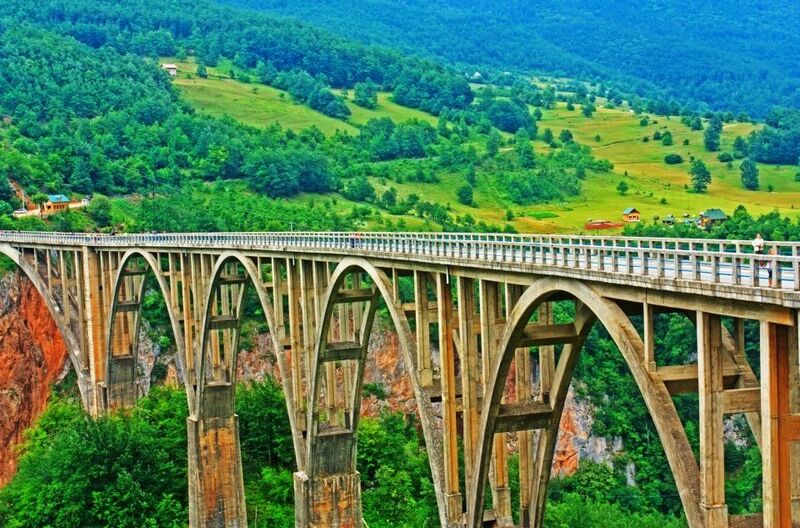 At time of completion in 1940, Đurđevića Tara Bridge was the biggest vehicular concrete arch bridge in Europe. Concrete is the most used material in the world and is an invention accredited to the Romans. After the Roman Empire collapsed, the use of concrete became rare until it was rediscovered in the mid-18th century. Concrete is a mixture of water, cement and aggregates like sand and gravel.